My Olive Tree has olive tree groves across Israel where you can sponsor a tree for planting. Your sponsorship of a tree is a tremendous way to help us fulfill our mission of reclaiming the desert and bringing life and prosperity back to a region that has been overtaken by war and despair for far too many generations. Syrian trees: The Syrian olive tree is extremely popular in Israel. One of the biggest reasons for this is that the oil made from these trees is extremely rich in antioxidants, and features a strong, rich taste and aroma. This tree has been a staple of Israel for many thousands of years, and was named for the city of Zor, which is believed to be the origin place of this particular varietal. 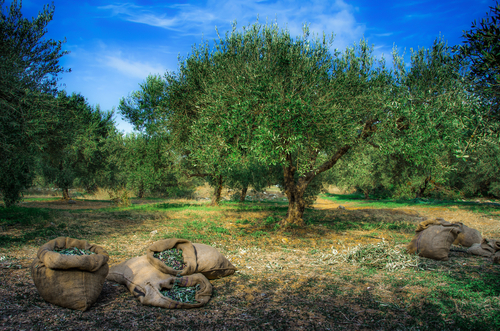 Some of the most famous Syrian olive trees in the world are located in the Garden of Gethsemane, some of which are estimated to be 1700 to 2000-years-old… meaning they could have been around at the time of Christ! Coratina trees: The Coratina tree is an Italian varietal of olive tree, though is often grown in other regions around the world, as well. Its fruits tend to ripen earlier than those of other varieties of trees. In many cases, those olives are harvested in October and picked while green, which gives the olives a stronger, “grassier” type of aroma. Fishulin trees: The Fishulin tree is a French species, with fruit that ripens later than most other types of olive trees. Fishulin olives are harvested in December, and have a larger, more bitter fruit that is typically preferred by people who either regularly consume olive oil or simply like to have a stronger flavor in their olives and olive oils. 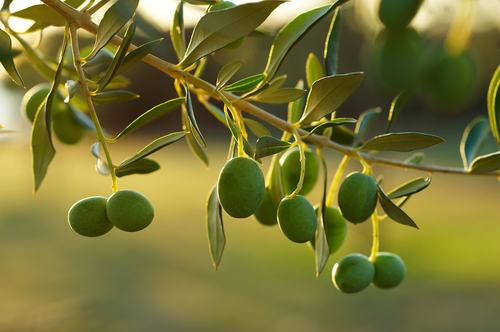 For more information about the various types of trees we have in our groves, reach out to us today at My Olive Tree.